Birmingham City drew level with Leeds United, and Blackburn sunk Wigan in a thrilling day of football in the Npower Championship. 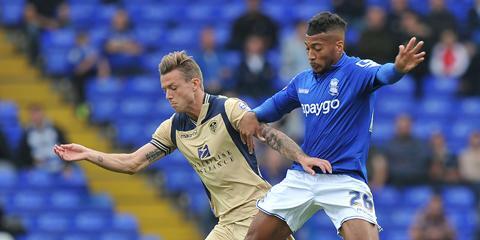 A late goal from Leeds' Mowatt salvaged the Yorkshire based team a point against Birmingham at St. Andrews. Rovers smashed three past Wigan with seconds half goals from Marshall (2) and Rhodes to send their supporters home extremely satisfied. Blackpool and Wolves battled hard to a 0-0 stalemate as many chances fell for both sides, but obviously none were taken. A 93rd minute stoppage time winner from Rotherham's Bowery spoiled Bournemouth's early celebration in a highly competitive match. A five goal thriller saw the home side Brentford prevail as they put away three vital goals against a valiant team effort from Brighton. The Npower Championship was full of four, five, and even six goal thrillers as Norwich slayed Cardiff 4-2 in a terrific second division match. A stoppage time converted pentalty put frowns on the face of Huddersfield fans as Borough' thwarted the Yorkshire based side. Two goals from McGoldrick and Murphy was enough to sink a down and out Millwall side at Portman Road. A double from Murray and a late Blackman goal easily put Fulham back in their place in a one sided match at the Madejski Stadium.